Titan Master Furos might be the only bot who craves battle more than Hardhead. 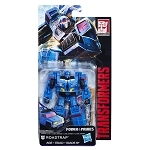 That makes him the perfect partner for the combat-driven Autobot. Just don't get them started on whose fireblast took down that Decepticon. 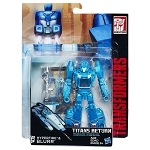 Furos gives Hardhead a regenerative healing power that instantly repairs armor and systems damage in battle. 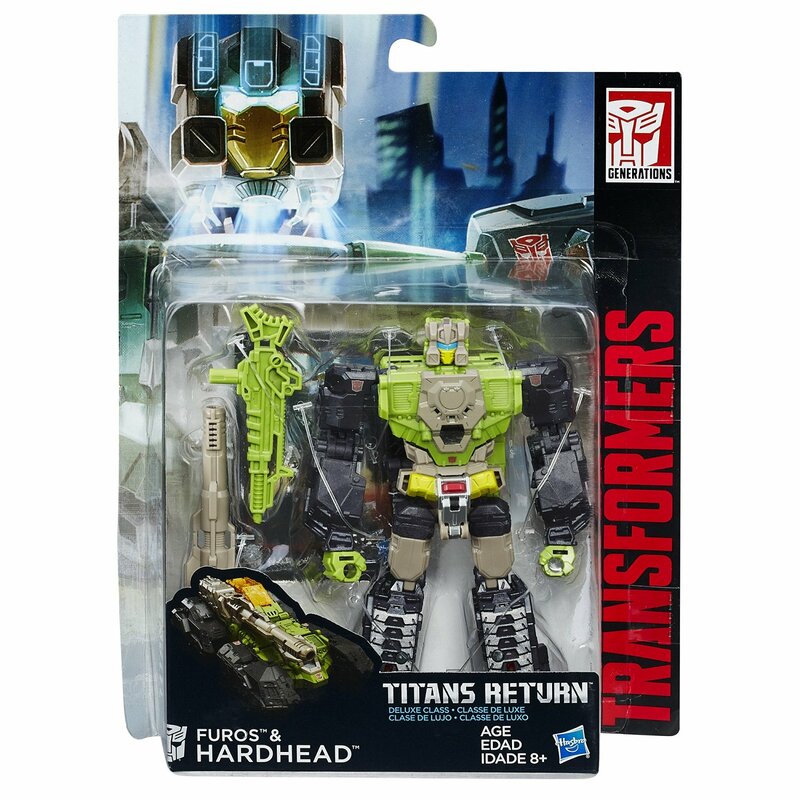 This Titans Return Deluxe Class Autobot Hardhead figure comes with a Titan Master Furos figure. 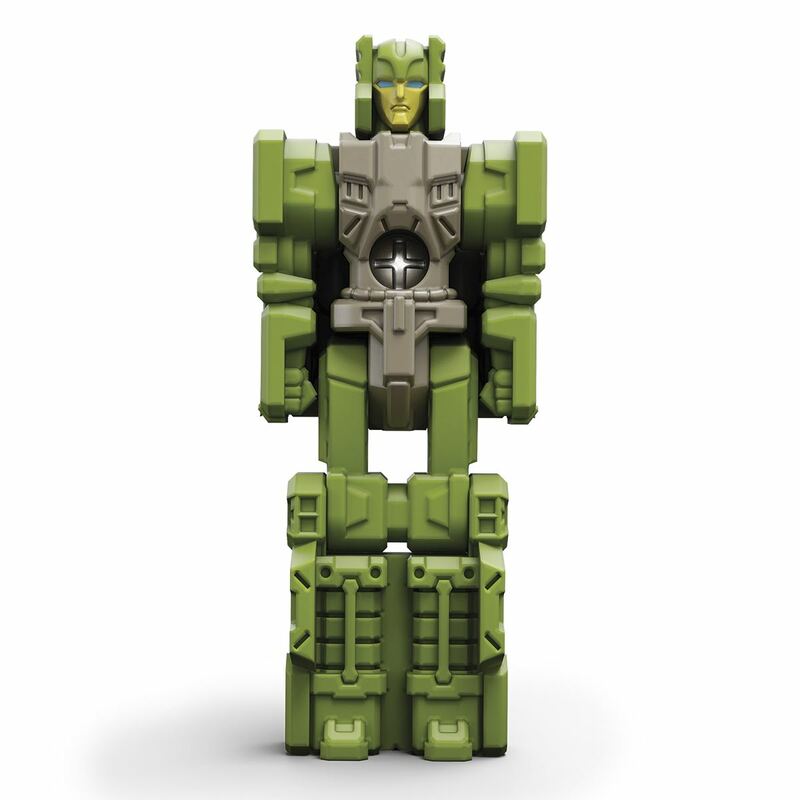 The Furos figure becomes the head of the Hardhead figure. Unite them and power up for battle. 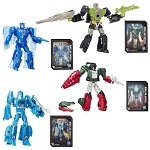 Titan Master figures can become the head for Deluxe Class, Voyager Class, or Leader Class Titans Return figures. 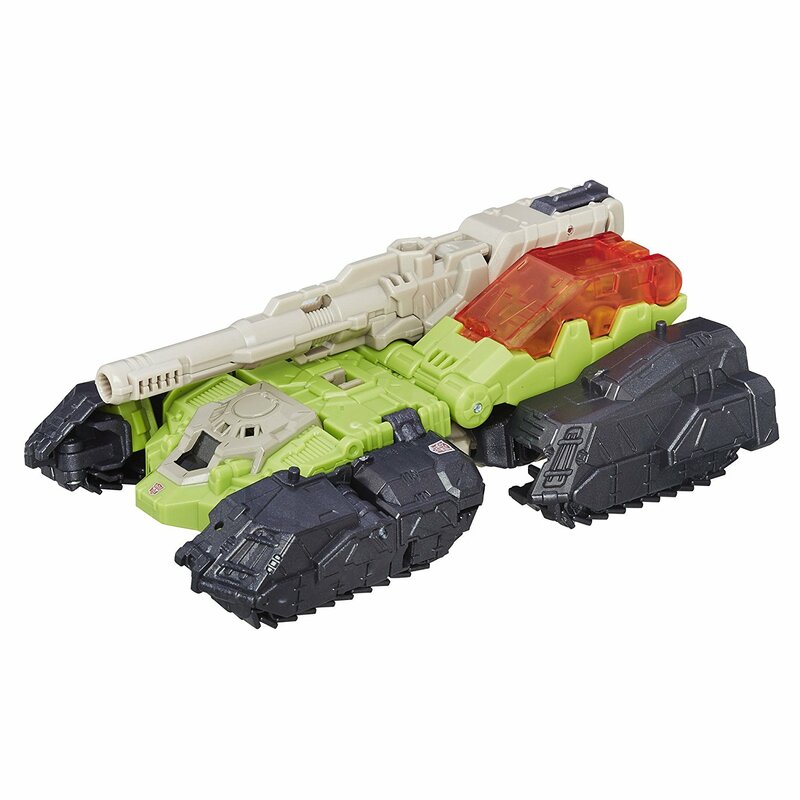 Unite this Titan Master Furos figure with other bots to create different combinations, or unite other Titan Master figures with this Hardhead figure. Find the best team ups and join the battle. Additional figures are each sold separately. Subject to availability. 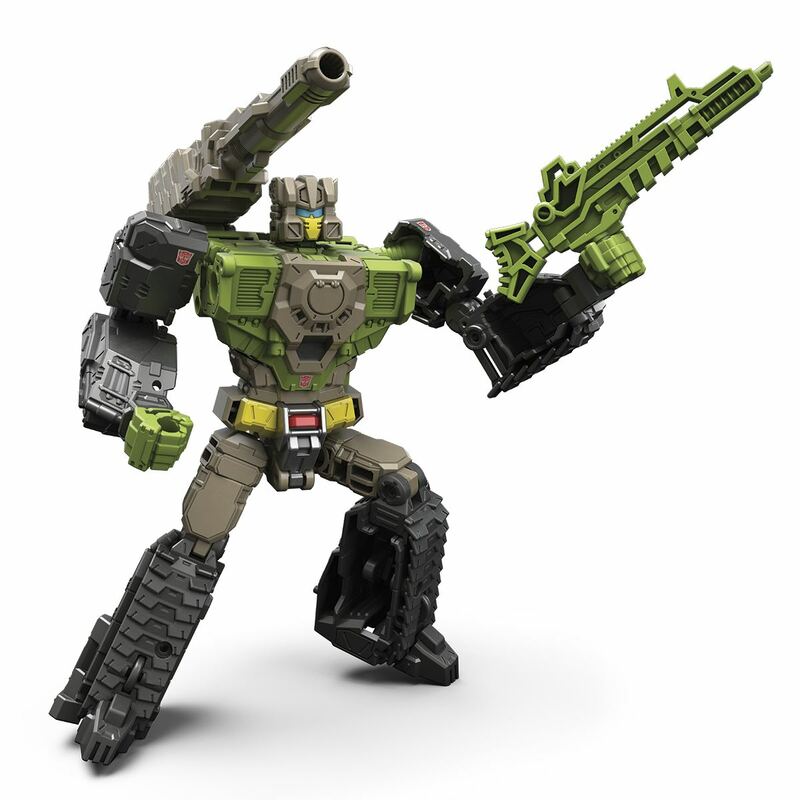 The Hardhead figure converts from robot to vehicle and back in 12 steps. The Titan Master Furos figure converts from robot to head and back in 1 step. 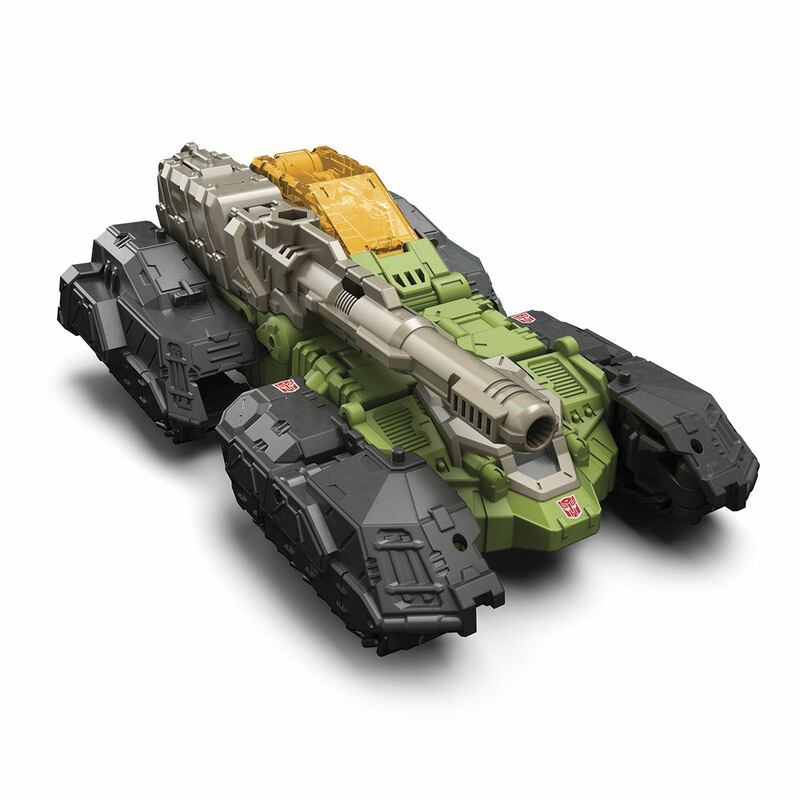 When the Hardhead figure is in vehicle mode, the Furos figure fits inside. Also includes a blaster accessory and a collectible character card with tech specs. 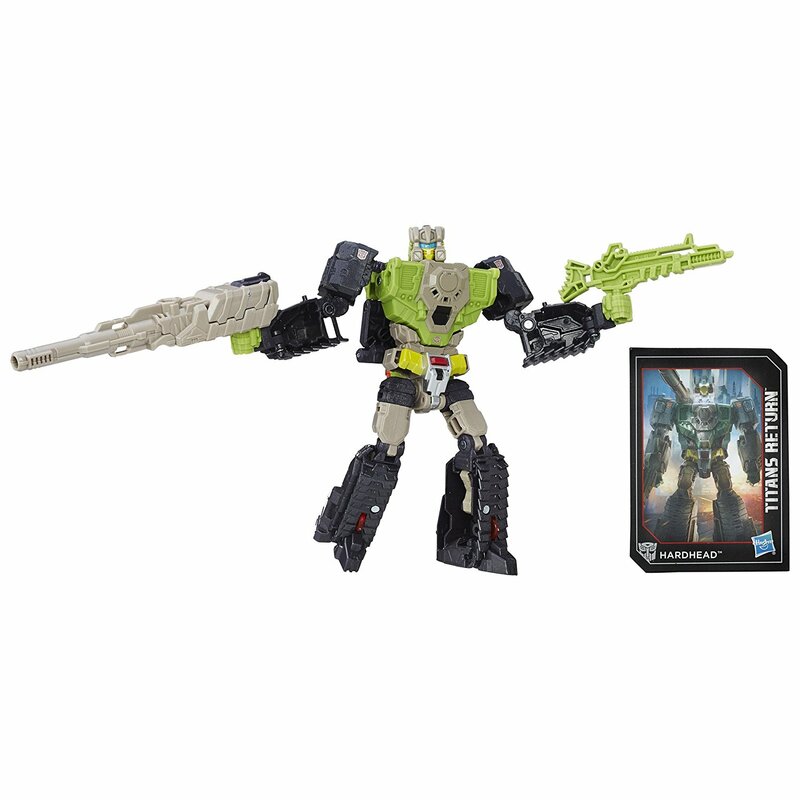 Includes Deluxe Class Hardhead figure, Titan Master Furos figure, blaster accessory, collector card, and instructions.